When I drove around the flower fields yesterday I could see 2 very small daffodils fields getting to bloom. They are a bit hidden behind buildings but spring is definitely coming! Within in a week we should see more crocus and daffodil fields in bloom. For the tulips I still keep 2nd and 3rd week of April as a best estimate that they will start blooming. I visited a tulip field on Saturday and these tulips are just 2 cm above ground. They sure need some time to grow. And no they don’t bloom for just a week. From the first start till the end of the blooming time takes around 3 weeks. Do you have a map of keukenhof? Where are the crocus and other early bulb fields, like grape hyacinth? I’ve seen tulips many times but would love to see the early bulbs. THanks! Hi Enrico, every year the tulips bloom on a different date. It all depends on the weather during winter and springtime. Last year (2014) we had a extremely early spring with blooming tulips from the 1st week of April and the year before (2013) a extremely late springtime with tulips in the fields from the first week of May. For this year the prediction is that the tulips will have a normal blooming from the 2nd/3rd week of April towards the end of April. It is still a prediction because the temperature in the next weeks can be warmer/ colder than normal and it all changes. I can’t decide for you when you should buy your plane ticket, because I can’t predict precisely when the tulips are in bloom. It is not exact science, it is nature. 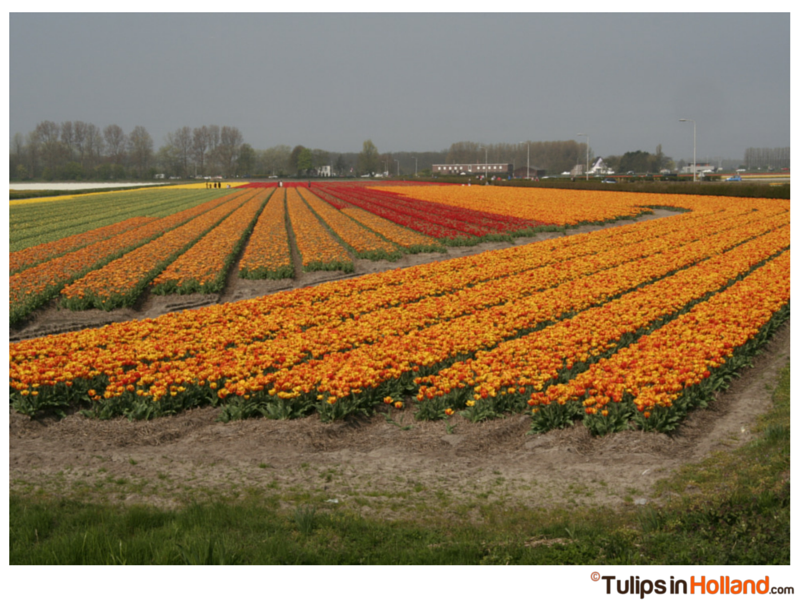 Sign up for the weekly newsletter and you will receive a weekly tulip update. We can predict 1 to 2 weeks in advance.